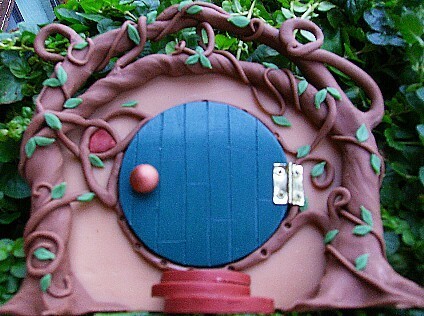 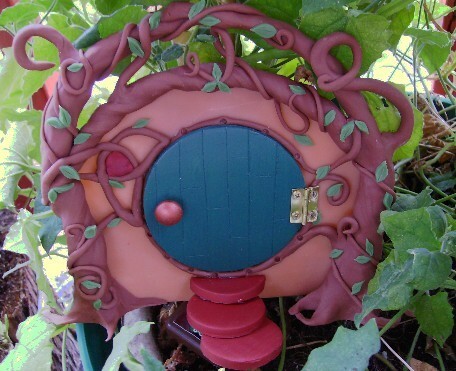 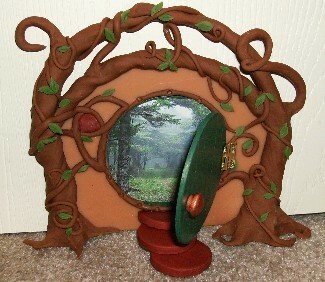 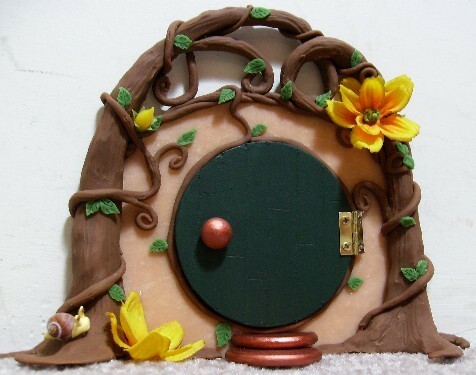 Let your imagination soar and a little whimsy into your home with these hand sculpted faery doors! 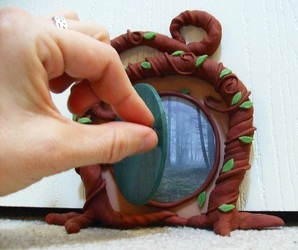 Open a door and take a peek. 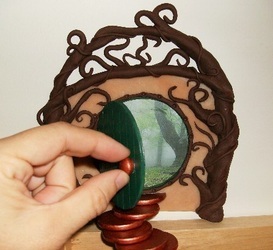 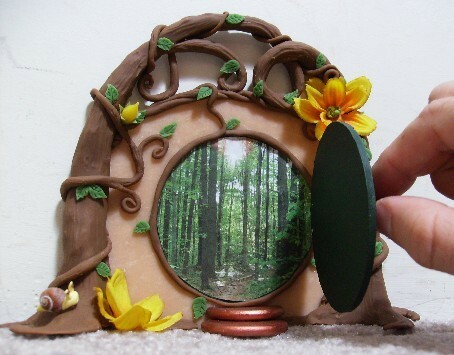 Unlike most polymer clay or wooden doors on the market, TSB's larger doors open for human hands to a mystical forest scene - the realm of the fay. 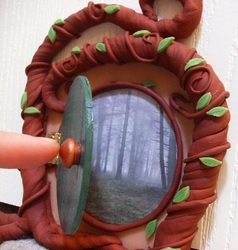 Delight young and old alike by placing a door along any wall, shelf or window and bring the fairies into your home. Want to invite tiny pixies? 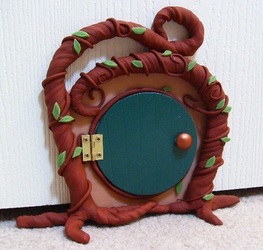 Pixie sized doors only open for the fair folk, but they are perfect for little shelves, walls, cupboards, side boards and drawers. 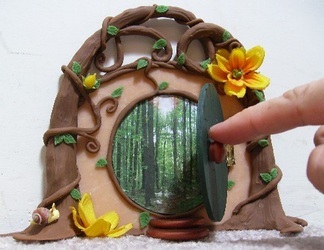 Want to go even smaller? 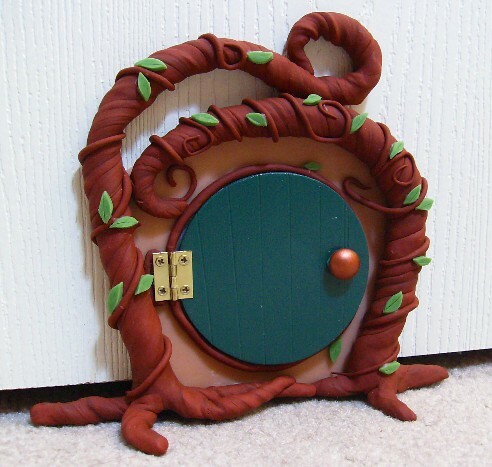 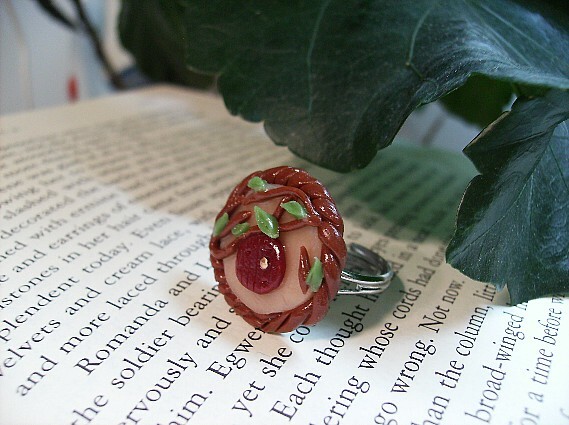 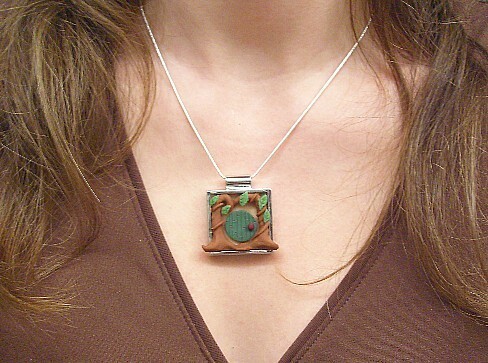 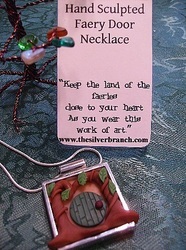 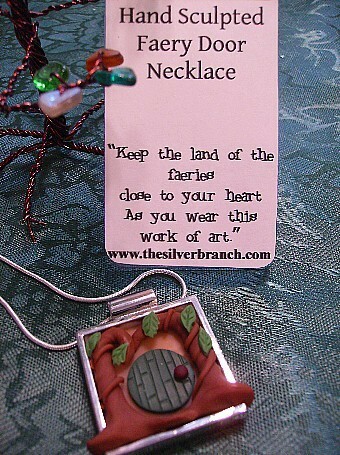 Check out the amazing necklaces and rings in the gallery below.Whether it be a faery door, a pixie door, or portal jewelry, all doors are one of a kind, hand sculpted without the use of molds, and truly magical!